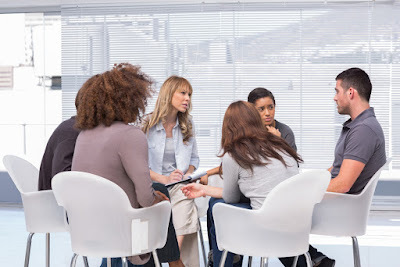 SendTree is an excellent tool for leaders who want to engage with and remain connected to their support group members. Individuals who attend support groups are often feeling alone and may have a tendency to withdraw from others. Using SendTree, you can have members text “JOIN” to your SendTree number, giving you with the opportunity to text your whole group at once. No more wondering if your group members received your message —people read texts immediately. You can use SendTree to send reminders about group meetings, information about cancelations/schedule changes, and or even to send encouraging quotes. A great option would be to ask members which types of messages they would be interested in receiving. For example, members may be interested in reminders about important dates (e.g., anniversaries of death dates) or critical events (e.g., start/ending of treatments). SendTree can enhance community building, increase attendance, and facilitate the positive impact of your support group. Whether your group meets weekly, biweekly, or monthly—needs for immediate communication always come up along the way. Not sure? Try it out by yourself. SendTree makes it very easy to try out, with no obligation. In fact, with a new SendTree account, we give you a few dollars so that you can use all the features and send many messages to see how it all works. If you click the button below, and we'll walk you through sending some test messages to yourself.